Available from 1948 until 1956, it generated 90 Watts of power and has a built-in circuit breaker. There are no variations. The instructions include the numbers "7-55" in the form number, which sounds like a revision number, so I believe the item is dated 1955 or 1956. Lionel cw-80 transformer used. Tested all features work. I recently upgraded my layout to a lionel zw multi watt and no longer need my cw's im selling all three!! They have been tested and they all work they are being sold AS IS I have no way of accepting returns so bid accordingly!! Lionel cw80 transformer used. Tested and all features work has a small crack in the case. I have upgraded my layout to a lionel zw multi watt and no longer need my cw's im selling all three!!! They have all ben tested and work and are being sold AS IS i have no way of accepting returns so bid accordingly!!! GOOD CONDITION WITH GOOD CORD AND PLUG. PAGE PAGES. I have not tested it. When I plugged it in it had a hum when I held it to my ear. TESTED Post War Lionel Train 90W Multi-Control Transformer Type 1033 115 Volt. Condition is Used. Shipped with USPS Priority Mail. You can have access to our free on-line Electric Train Price Guide. 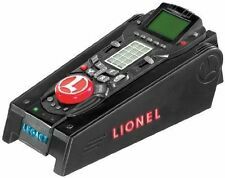 Lionel CW-80 Transformer Controller 80 Watt Toy Model Train Power Supply. Condition is Used. Shipped with USPS Priority Mail Medium Flat Rate Box. Lionel ZW Badge. Condition is Used. Shipped with USPS First Class Package. Lionel KW 190 Watt "Trainmaster" Transformer-Original Box. Condition is Used. Shipped with USPS Priority Mail. It is found with either a RED, SILVER, or BLACK handle and was issued with Lionel’s more economical sets during this year. It does not have a built-in circuit breaker. There are no variations. I received this collection over the course of a few years in the late 1950s and early 1960s from a generous train-hobbyist uncle who lived in the NYC area. LIONEL Post War Trains 1044 Trainmaster Transformer. 90 WATTS w box. 90 WATTS w box. Works good. Original cord. Well cared for. Tested and working. Doesn't affect function at all. No box with this one. Condition is New. Sorry NO APO or FPO. Doing so only slows things down. Included two wires and a used lockon. You get everything picture. Not this lot does not include TMCC connector cables but these are generally easy to find. THIS ITEM WORKS AS IT SHOULD. THE ROLLERS ARE SMOOTH WHEN THE LEVERS ARE MOVED. BOTH INSERTS ARE PRESENT. THE INSTRUCTION BOOKLET IS IN GOOD SHAPE. ALSO INCLUDED IS THE INSPECTION STICKER. Lionel 6-12969 TrainMaster CAB1 Command Base/Box. Condition is Used. Shipped with USPS Priority Mail. Abs plastic. Like brand new. Works perfect. Lionel O Scale Powermax Plus Transformer 18VAC 40W #6-24253 (21042). Condition is Used. Shipped with USPS Priority Mail. HAS SMALL ELECTRICAL TAPE NEAR BASE AS SHOWN. WORKS FINE. AS THEY ARE PART OF THE ITEM. COULD USE A MILD CLEANING. BOTH HANDLES ARE GOOD. Vintage Lionel Type Q 75 WATT Trainmaster Transformer Tested. Condition is Used. Shipped with USPS Priority Mail. This is from an estate sale bulb missing on the red light. When plugged in green lights works and it hums. From an estate sale. Look at carefully. I'M HUMAN & CAN MAKE MISTAKES. Lionel TYPE TW 175 Watt Trainmaster Transformer. Condition is Used. Works Shipped with USPS Priority Mail. Its box is in excellent condition with its cardboard insert. It works fine. NICE working unit. Not cleaned up for the pictures at all, Just the way i have used it on my platform i just took down. The Model(R) is the Latest and Greatest Version of the ZW, much quieter than older ZWs ! NEW MODERN CIRCUIT BREAKER ! Circuit Breakers are 100% Tested and replaced if necessary. C2 Restoration required. THE CORD HAS BEEN REPLACED AND EVERYTHING WORKS FINE. EXCELLENT CONDITION WITH GOOD CORD AND PLUG. PAGE PAGES.